A repossession is a legal process, sometimes referred to as a “repo.” It takes place because a lender or creditor is attempting to retake possession of property. It usually happens because a debt is not paid, and like any legal action, it requires an expert. A San Bernardino County licensed investigator should be the first person you call when you are seeking or threated by a repossession. Is a Repossession Even Legal? The short answer is yes, a repossession is completely legal. The long answer: when you sign your name on the dotted line for a secured loan or rental agreement, you are essentially putting up your personal assets as collateral. The terms usually state that as long as you honor the agreement you will be able to keep said collateral. When the agreement is expunged, the collateral is off the table. Until that point, that collateral – your personal possessions – are eligible for repossession. Granted, a repossession usually just covers the property contained within an agreement. However, sometimes it goes a bit further. The lender or creditor has the right, if stated in the agreement before you sign it, to repossess the collateral at their convenience when you breach the contract. They can even sell it immediately to recover the money owed to them. If it is your house or car on the line as collateral, a repossession can mean serious trouble. Long story short: a repossession IS legal and a creditor WILL come after their property if you refuse to pay up. Why Is a San Bernardino County licensed investigator Needed for a Repossession? There are times when creditors of secured loans can repossess your property without getting a court order beforehand. This stands as the case as long as there is no “breach of the peace,” meaning that the creditor cannot harass you in order to recoup their losses. Although you may not use force to prevent a repossession, you can call the police or hire a San Bernardino County licensed investigator if you feel as though a “breach of the peace” has taken place. As a creditor, it can be difficult to repossess property when debtors are deliberately elusive and when you must be careful not to “breach the peace.” This is the time when a San Bernardino County licensed investigator needs to take over. 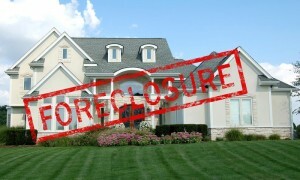 Many repossession companies cannot match up to the expertise of a San Bernardino County licensed investigator. That is because a San Bernardino County licensed investigator can provide process service, if needed, as well as help track down debtors before they get away with your property. Talk to lenders and creditors immediately if the dues cannot be paid. Ask for more time to pay bills, if needed. Contact investors to purchase property from you, use money to repay the lender. For more information on having a repossession conducted on your behalf, or to hire a San Bernardino County licensed investigator to track down money owed to you immediately, call (951) 800-8232. We provide you with a free initial consultation and price quote for our services.